Dias Hotel is named after the father of the Olympian gods. In ancient times Zeus was considered the greatest and the wisest of the gods of Olympus as he was the god of weather, patron of hospitality, family and fertility. 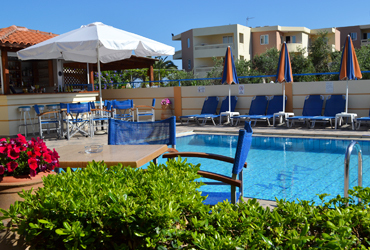 The DIAS is located in the heart of Agia Marina only 9 km from the town of Chania. It is a warm, friendly, family place that offers a variety of summer passtimes. 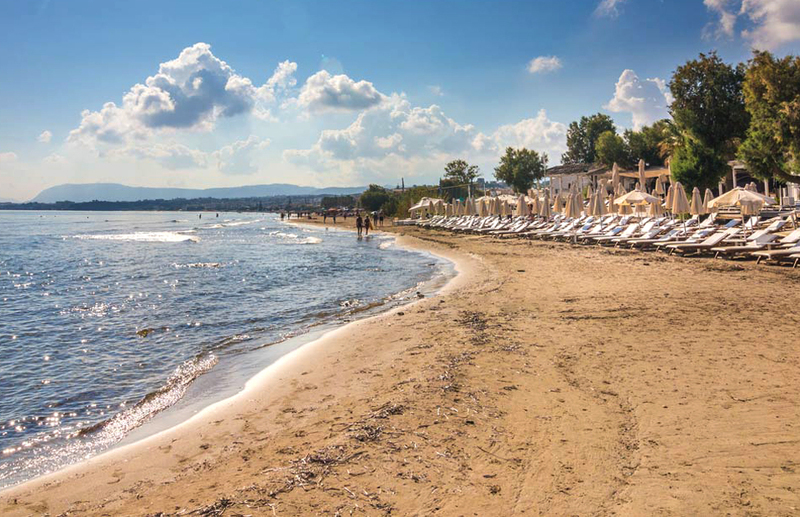 The wonderful Mediterranean atmosphere of sandy beaches and saphire waters, a short distance from the hotel, generates a feeling of relaxation. The serene green landscape, surrounds our swimming pool and pool bar and adorns the exterior of the hotel. 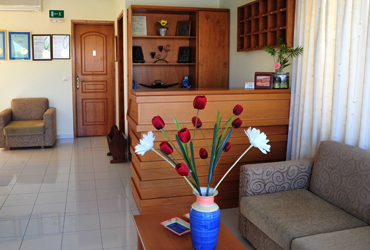 The hotel consists of 14 apartments equipped to accomodate up to 3-4 persons each. Enjoy our warm Cretan hospitality and it is certain you will feel like home. 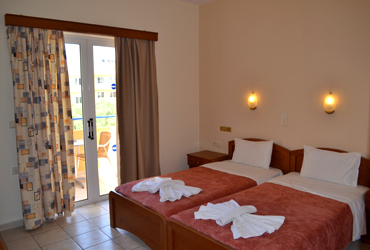 We always try to provide you the best possible way in order to enjoy the warm Cretan hospitality and feel like home. In a short walking distance from the property guests can find super market, bakery, pharmacy, atm and bank. The hotel is surrounding from restaurants, café bars and shops offering a lot of options to satisfy the tastes, the requirements and the needs of the guests. The beach and beach bars are only 200 meters far from the hotel. In order to reserve a room, please fill out the form below.